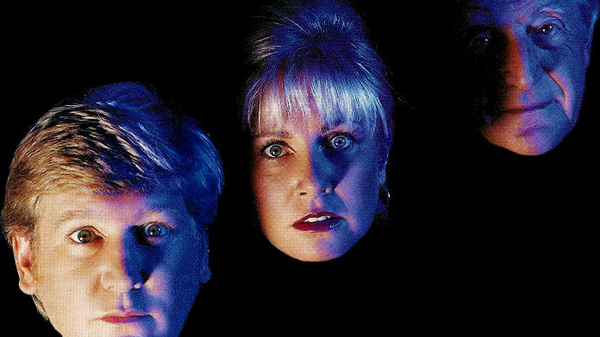 Ghostwatch is a British reality horror mockumentary television film that first aired on the BBC on Halloween twenty five years ago in 1992. The audience and press reaction following the broadcast led the BBC to place a decade-long ban on the programme being repeated. Join its scriptwriter Stephen Volk and film critic Kim Newman at this special screening followed by a Q&A. The response it provoked harks back to Orson Welles and his 1938 broadcast of his adaptation of H. G. Wells' The War of the Worlds which sparked an immediate backlash. Welles thought he was ruined after the major newspapers reported on cases of mass hysteria across America of unassuming citizens who were convinced that a real Martian invasion was taking place. Whilst not quite on this scale the response to the airing of Ghostwatch took the BBC by surprise, their phone lines were besieged with irate and frightened viewers who were convinced that TV presenter Sarah Green had been murdered. Presented at the time as live television Ghostwatch has never been repeated on British TV but it has had a lasting impact producing both sleepless nights and inspiring the likes of filmmakers (The Blair Witch Project) and TV (Derren Brown’s Séance). If you haven't experienced it, or are still traumatised, come and join us to watch the programme that terrified the nation!